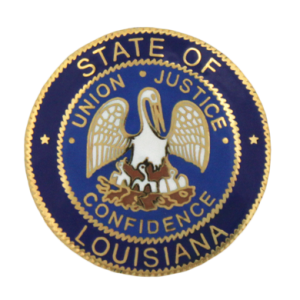 These lawyers were the subject of Louisiana Supreme Court disciplinary orders or Louisiana Attorney Disciplinary Board recommendations that were made public during the month of May 2018. Debra L. Cassibry. The court disbarred the respondent. The respondent had several criminal convictions, including: a Louisiana DWI conviction; a Mississippi DWI conviction, in which the respondent failed to pay fines and court costs and forged the signature of her criminal lawyer on a motion; a conviction for failing to leave a hotel after several requests; and, a simple-assault conviction after the respondent attempted to bite a corrections officer. In addition, the respondent failed to cooperate with ODC’s investigation. Lionel Lon Burns. The court suspended the respondent for one year and one day. The respondent assisted a paralegal in the unauthorized practice of law by sending the paralegal to a pretrial conference in Jefferson Parish. Jose W. Vega. The court permanently disbarred the respondent. The respondent neglected a client’s immigration matter, failed to communicate with that client, and failed to cooperate with ODC’s investigation. Additionally, the respondent had previously been disbarred as reciprocal discipline after resigning from the practice of law in Texas. Stuart H. Smith. The court accepted a joint petition for consent discipline and suspended the respondent for three months, all deferred. The defendant was convicted of cyberstalking. Anthony T. Marshall. The court transferred the respondent to disability inactive status. John Morris Dunn, III. The court disbarred the respondent and ordered him to make restitution. The respondent converted third-party funds from a doctor who had treated his clients. Raushanah Shakia Hunter. The court suspended the respondent for one year and one day, with all but four months deferred. The respondent neglected two legal matters, failed to communicate with two clients, and failed to cooperate with two ODC investigations. David G. Arceneaux. The court reinstated the respondent to active status, conditioned upon compliance with a JLAP recovery agreement. Michael J. Riley, Sr. The court readmitted the respondent, subject to unsupervised probation of two years. The court previously suspended the respondent for three years in 1987, and disbarred him in 1990. Roy Joseph Richard, Jr. The court suspended the respondent on an interim basis, pending further orders of the court. Edward Bissau Mendy. The court permanently disbarred the respondent. The respondent had a history of discipline and engaged in a pattern of misconduct. The respondent neglected a client matter, failed to communicate with that client, failed to refund unearned fees, and failed to cooperate with ODC’s investigation. Bruce C. Ashley, II. The court suspended the respondent for eighteen months, all deferred. The respondent neglected legal matters, failed to communicate with clients, failed to refund unearned fees, and failed to cooperate with ODC’s investigation. Ken Dohre. The board dismissed the formal charges filed against the respondent. The respondent, a prosecutor, allegedly failed to timely disclose grand jury testimony to the defense prior to a trial that resulted in a wrongful second-degree murder conviction. The board found that the facts were not sufficient to establish a violation by clear and convincing evidence. Michael Sean Reid. The board recommended that the respondent be disbarred. The respondent abandoned his practice by neglecting several legal matters of multiple clients, failed to refund unearned fees, wrote an NSF check to a client, and failed to cooperate with ODC’s investigation. Daniel E. Becnel, III. The board recommended that the respondent be suspended for one year and one day, with all but sixty days deferred. The respondent was negligent in handling his trust account and client funds. Thomas J. Hogan, Jr. The board dismissed the formal charges filed against the respondent. The ODC alleged that the respondent improperly interacted with a lawyer who drafted his mother’s last will and testament. Christine Y. Voelkel. Hearing Committee #62 recommended that the respondent be suspended for one year, with all but two months deferred. The committee also recommended that to be reinstated, the respondent must submit regular IOLTA account audits and attend at least six hours of mandatory CLE requirements, including the LSBA’s Ethics School and Trust Accounting Program. The committee found that the respondent failed to meet CLE requirements; failed to submit annual registration statements; failed to pay bar dues and assessments; failed to notify the bar association of address changes; failed to disclosure trust account information; failed to properly handle trust funds; engaged in the unauthorized practice of law; and, failed to cooperate with ODC’s investigation. Kevin Michael Steel. Hearing Committee #9 recommended that the respondent be suspended for one year and one day. The respondent failed to communicate with and failed to diligently represent his client. Additionally, the respondent failed to return unearned fees and provided false information to the ODC regarding these funds. Doris McWhite Weston. Hearing Committee #30 recommended that the respondent be suspended for one year and one day, with nine months deferred, along with two years of active probation. The committee also recommended that the respondent attend LSBA Trust Accounting school. The respondent converted third-party funds and failed to promptly pay funds to a medical provider. John Julius Steger, IV. Hearing Committee #12 recommended that the respondent be suspended for one year, subject to a probationary period of five years to coincide with a JLAP monitoring agreement. The respondent had multiple DWI arrests and several other charges stemming from alcohol abuse. Roy Joseph Ricard, Jr. Hearing Committee #22 recommended that the respondent be suspended for thirty months, with six months deferred. The respondent failed to act with reasonable diligence and promptness in representing a client, abandoned his representation of a client, and retained unearned fees.